PCB Power Pad destroyed for TPS51125. Fixable? While trying to fix a laptop, I was de-soldering a TPS51125. I added a bit too much solder to the power pad while wicking so I had the "smart" idea to use a solder pump to remove it... but the pad came with it! I've learnt a lesson but I'm wondering if this pad is really necessary for normal functioning? Can I go without it or does it need to be connected for electronic and/or thermal reasons? 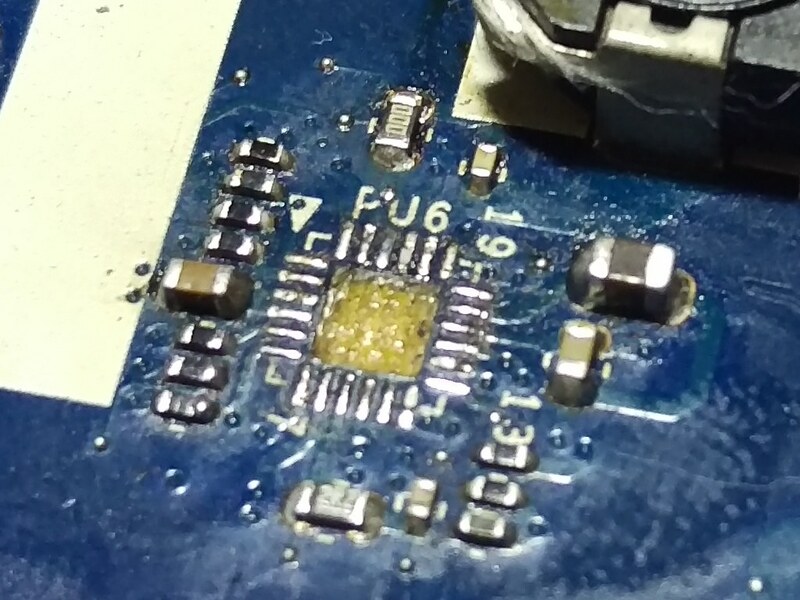 If I just stick the pad back on the pcb and solder the IC back, will it not being connected do anything to affect it's ability to function? The chip uses the power pad as a ground pad, it has another pin for ground as well, but it is likely the chip is designed to have most of the current going through the power pad. Beside heating issue (which might be fixed by adding a cooling to the top of the chip), the fact the chip might have improper grounding can create issue. One of this issue can be improper regulation of the output voltage and in the worst case, generating a higher voltage than it should be and in turn can destroy further components. A safest solution to fix this issue would be to order a step-down converter small enough so you can fit inside the laptop and with the appropriate voltage and current ratings. Find on the board some locations where you can connect the input, output and ground with some wires. Not the answer you're looking for? Browse other questions tagged integrated-circuit surface-mount pad or ask your own question. Eagle CAD: One-sided thru-hole pad? Removed all ceramic SMD capacitors without markings on them from the board… what to do?